© Reproduced by permission of the Trustees of the National Library of Scotland. Edinburgh's Royal Mile extends down the ridge of the Old Town, from Edinburgh Castle in the west to Holyrood Palace in the east. The map above shows the eastern section of the Royal Mile that extends through the old town of Canongate, immediately to the east of Edinburgh. The street is also named Canongate. 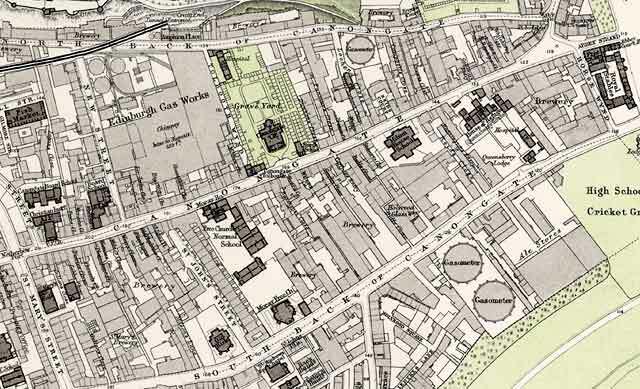 The boundary of the old town of Edinburgh at Netherbow where the city gates once stood, is at the left-hand side of this map, marked Netherbow Port. 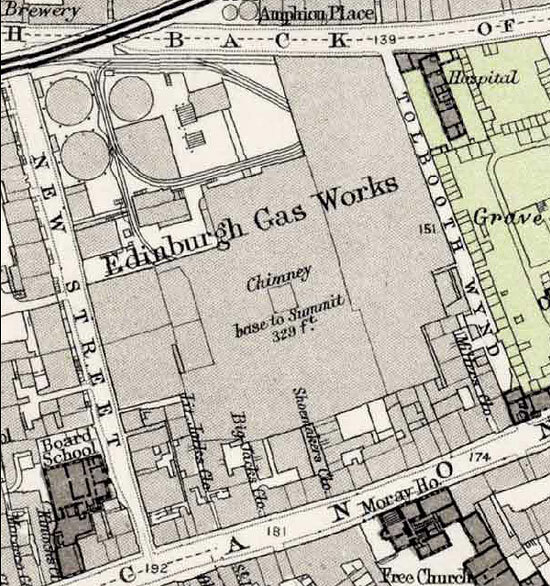 The Palace and Abbey of Holyrood are immediately to the right of this map, just beyond the Royal Stables. The names of many of the old closes off running down the slopes to the north and south of the Royal Mile can be read on the large map. Here is a map of the western end of the Royal Mile as it passes through the old town of Edinburgh. 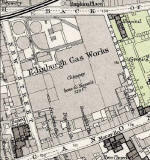 To see more extracts from this 1891 map, please click on one of the links below. you'll need to scroll across and down to see the whole extract.